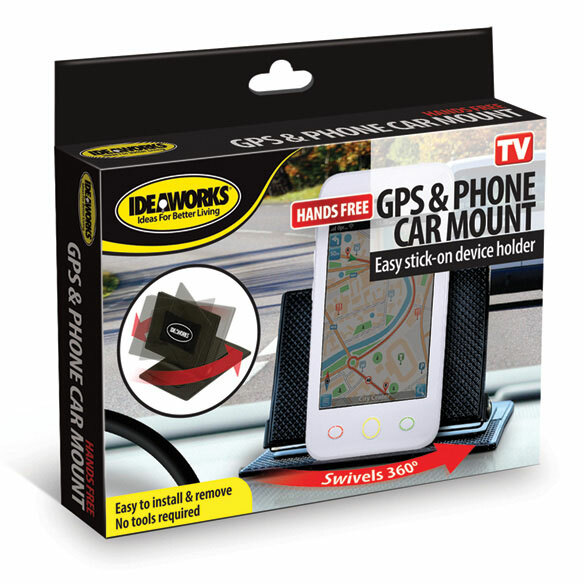 Securing your phone or GPS for safe, at-a-glance viewing, this hands-free GPS and phone car mount helps you keep your hands on the wheel and eyes on the road. The stick-on GPS mount swivels a full 360 degrees and angle adjusts 90 degrees, so you can position it to suit your needs for custom, eye-level viewing and safer driving. Car phone holder installs in seconds without tools. Adhesive rubber pad secures firmly to windshield or any smooth, flat surface, then easily removes without leaving any sticky residue. Simply rinse with water to clean. 4 1/2" x 3" x 3 1/4". No, wouldn't buy it again. Couldn't figure out how to set it up and use it. Doesn't look like it will hold my small cell phone. I bought the holder for my husband, but it didn't work out. It keep falling off the dash board. For my car. I prefer to use my phone GPS, instead of the one in my car. 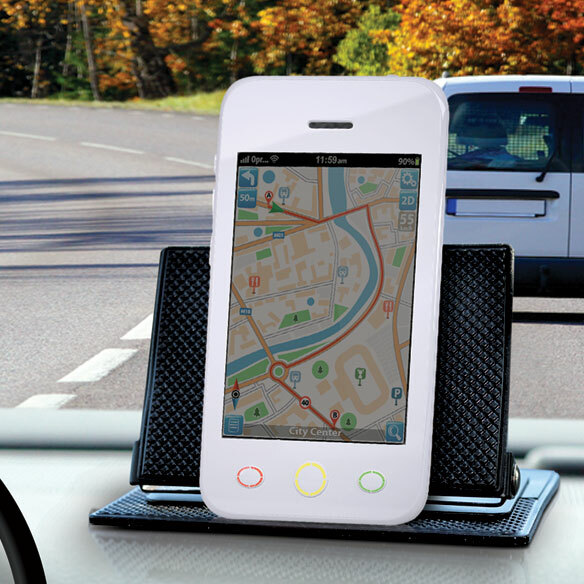 Our GPS / Cell phone always slides all over the place whenever we use them for directions .